Our chocolate rabbits are named for Robert L Strohecker, grandfather of Harbor Sweets' founder Ben Strohecker. 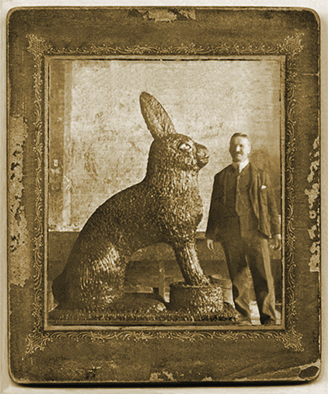 Grandpa Strohecker's early promotions of chocolate rabbits earned him the title of "Father" of the Easter bunny business. Hop on it! Easter is April 21st, order your own Chocolate Easter Bunny now!